Further research on the "Nourmahal Gang" reveals that one member of this exclusive club was quite different than the others. Dr. W. Leslie Heiter was not a wealthy man and was considerably younger than the rest of the group, a rather odd person to be hanging out with a group of privileged blue bloods. A native of Alabama, he trained at Tulane and soon joined the staff of Memorial Hospital in New York in the late 1920's. The owner of the Normahal and FDR's close friend was Vincent Astor, who also was a major benefactor of Memorial Hospital (as was his grandmother Charlotte Gibbes Astor). It appears that the good Doctor Heiter was a surgeon who specialized in head and neck surgery. Here is a paper he wrote in 1930 (see below). 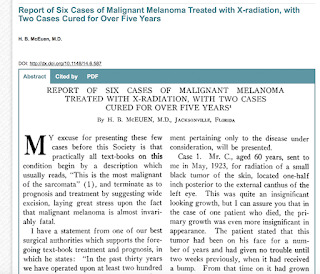 So now we not only have an expert in the field of radiation of melanoma of the sinuses (McEuen) writing FDR about the "cancer patient" on the Nourmahal, but also a physician who wrote a recent paper of cancer of the sinuses on board! 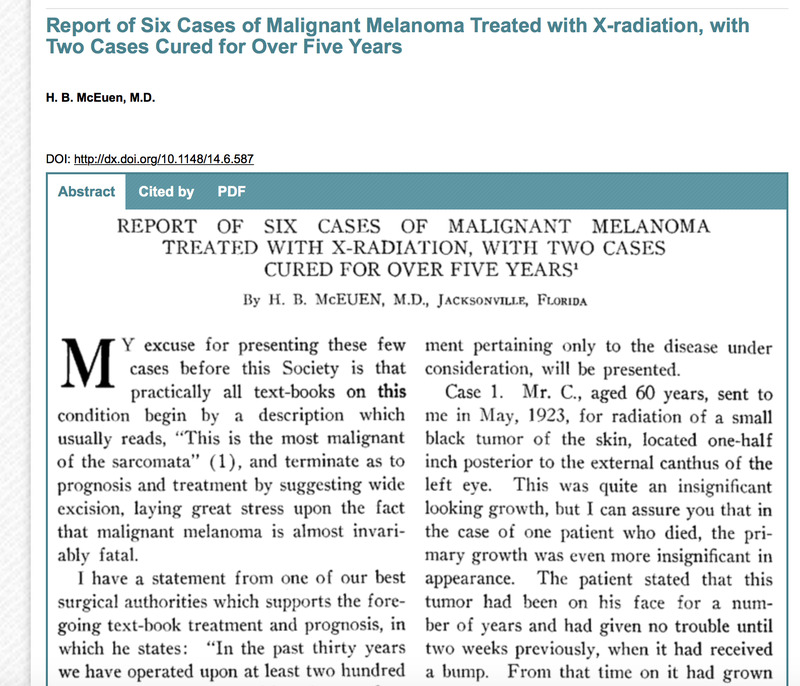 The Earliest Treatment of FDR's Melanoma? 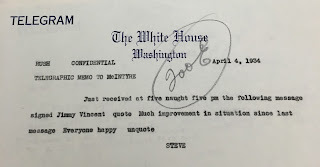 While working on a special project at the FDR library concerning the fascinating, little known and vastly under-appreciated relationship between FDR and his distant cousin Vincent Astor, my protege, William Villano called me about an interesting letter he found. 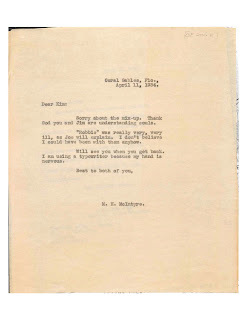 Will was well aware of my long-standing work on FDR's melanoma and noted that the trip file of correspondence for his cruise on Astor's yacht Nourmahal in March/April 1934 was unusually thick. The yacht was no ordinary ship, carrying a crew of 50 and a fully equipped operating room. On further inspection, the file revealed that the "fishing trip" was mysteriously extended for a week, bringing about a postponement of the highly publicized traditional gridiron dinner with the press in Washington as well as a number of important diplomatic meetings. 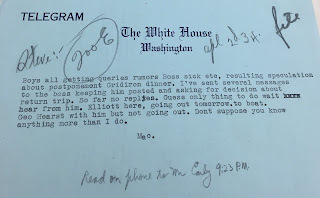 Also found was evidence of a hastily organized press conference aboard the Nourmahal, so the considerable scuttlebutt around Washington that FDR had become sick on board could be squelched. 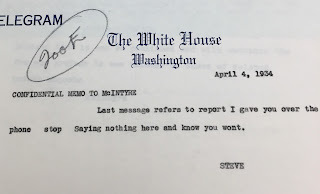 Correspondence between members of FDR's inner circle reveals that something went very wrong on the cruise on March 29. By April 2, the crisis had calmed and the energy was directed to covering up the reason for the unexpected extension of the trip. 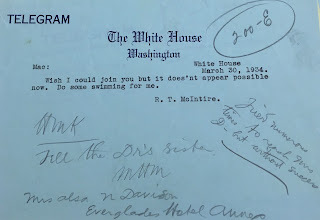 The letter is from Appointment Secretary Marvin McIntire, who was stationed in Miami while FDR was sailing in the Caribbean, having embarked on March 27th from Jacksonville. It is addressed to "Kim" who after considerable research appears to be Kermit Roosevelt Jr, the grandson of Theodore, whose father, a close friend of FDR and Astor, was aboard the Nourmahal. Others mentioned are "Joe" who is most probably Joseph P. Kennedy (JFK's father) and "Jim" FDR's eldest son, James. Before being hastily summoned to the Nourmahal, research confirmed that James spent the previous two days at Joe Kennedy's estate in Palm Beach. What most sparked Will's attention was the phrase "Robbie was really very, very ill". Our suspicion is that "Robbie" was FDR, especially in light of his well documented penchant for aliases. 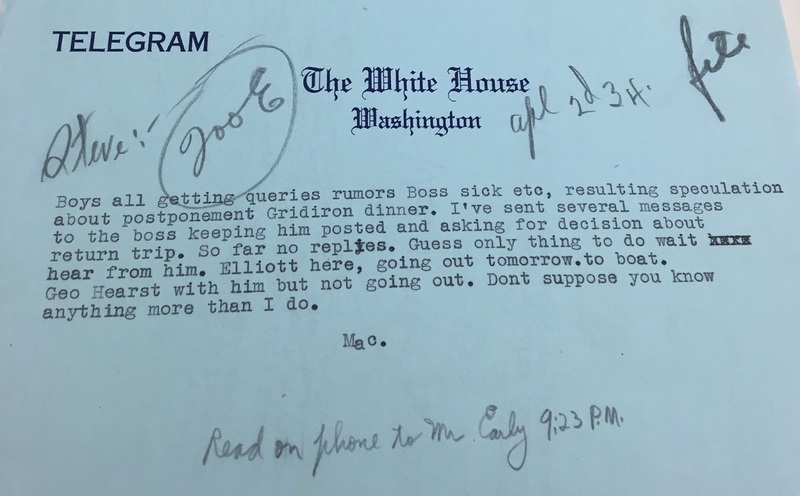 There was also correspondence in the trip file concerning rumors in Washington that Roosevelt had taken ill, which appeared to be the reason for the prolonging the trip. It also revealed that FDR's eldest sons James and Elliott were somewhat unexpectedly transported south to be with their father. For someone well versed in highly secretive world of Franklin Roosevelt, this raised enough suspicion for me to make a trip to Hyde Park for further research. 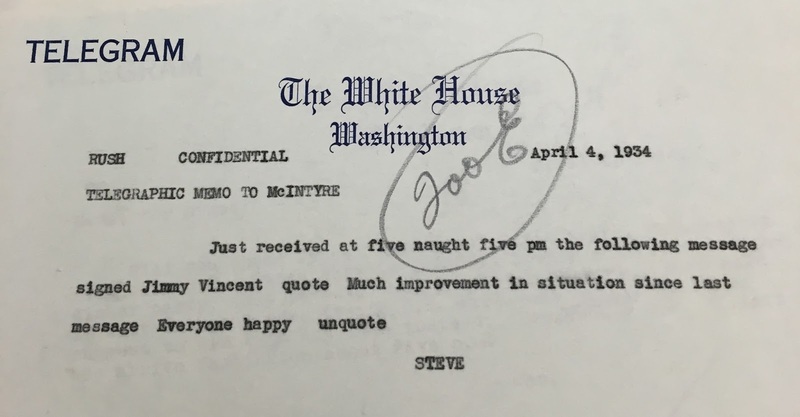 After the crisis ended, correspondence and a phone call between Press Secretary Steve Early (who ALWAYS knew everything) and McIntyre adds additional evidence of FDR's illness and reinforces the strict code of secrecy in FDR's inner circle. Shortly after opening the file, I found this telegram! It was sent to FDR from the noted radiotherapist, Dr. H. B. McEuen. Through the miracle of modern cyber-technology, AKA a google search on McEuen, I immediately found his medical paper! I was able to locate McEuen's grandson and, through him, his mother-in-law. Neither one of them was aware of their relative's connection with Roosevelt, though Mrs. McEuen is in possession of a file of papers and the prototype of the radiotherapy device that McEuen patented. 1) FDR unexpectedly takes ill aboard Vincent Astor's yacht in early April 1934 and prolongs his trip by a week. A letter from Marvin McIntyre confirms "Robbie was very sick". His children are mysteriously transported to be by their father's side. 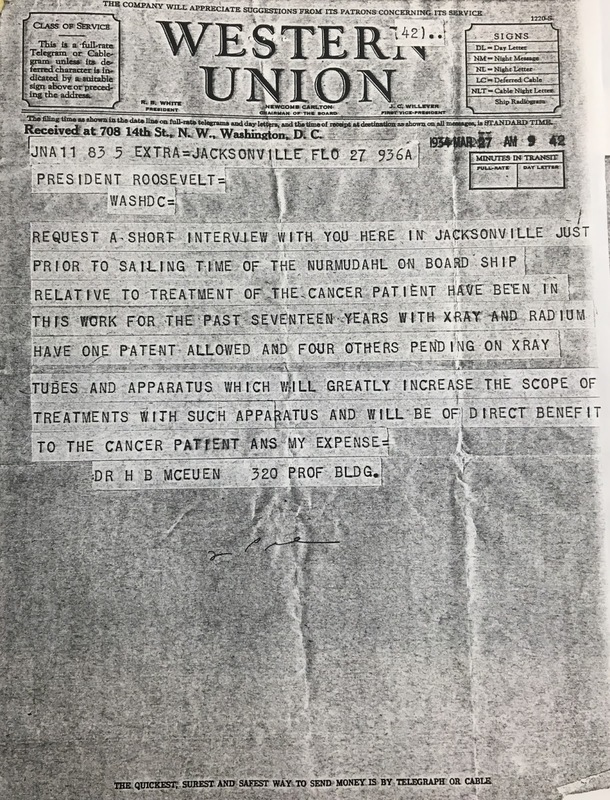 2) A noted cancer treatment specialist, Dr. H. B. McEuen, who had recently written a paper about the benefits of radiotherapy for melanoma over surgery, sends a telegram to FDR about the best way to help the "cancer patient". Where was Ross McIntire during all of this? He was in Washington and sent a telegram to the ship that he was unable to get to Florida. As seen many times (with the very few exceptions), he covered himself, with an admonishment to "do some swimming for me." 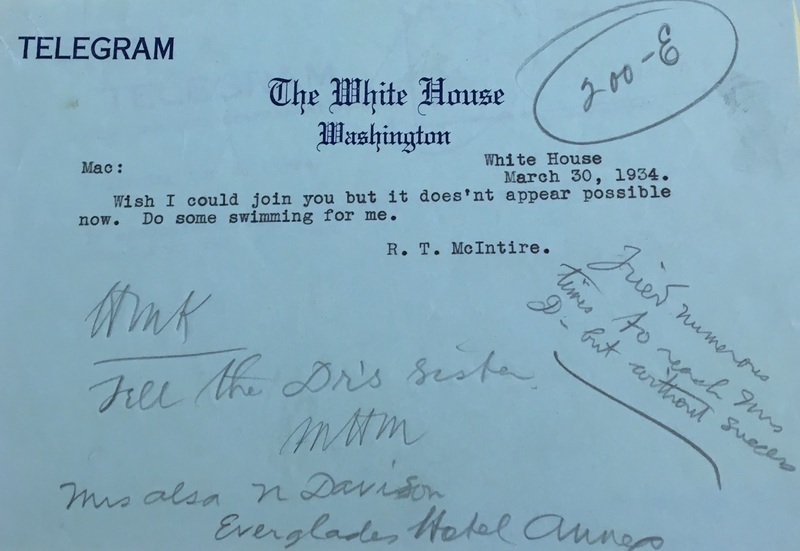 FDR was surely not fishing at the time, though as documented in the video of his press conference coming off the train upon his return to Washington, he went to great lengths to talk about the "barracuda and sharks". 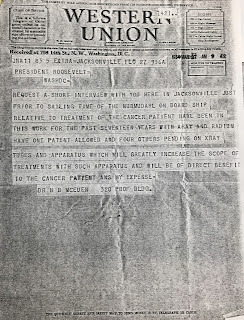 Dr. H. B. McEuen knew someone aboard the Nourmahal could benefit from his services as a cancer specialist. How he acquired this, or how he knew the secret agenda of the president (leaving from Jacksonville on the correct date is unclear. March/April 1934 is the earliest date located so far that possible treatment of FDR's melanoma occurred. In the course of his treatment with radiation FDR apparently started to hemorrhage (probably in the course of gaining surgical access), requiring his sons to be sent for to provide compatible blood (yes, the technology of blood transfusion was known). Fortunately for America, FDR recovered, but for a short time in late March/early April 1934, those aboard the Nourmahal were not entirely sure he would. This may have FDR's first "medical cruise". It was surely not the last (second Tuscaloosa cruise in February 1940 and probably many others as well). The navy medical corps was prepared for all contingencies, had the best technology and, of course, provided the secrecy that FDR needed. 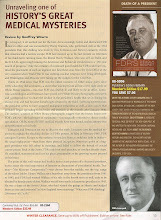 Another interesting issue of great interest to me for the last decade and is key to my "alternative" history of FDR is- Who knew what about FDR's health and when did they know? The revelations above add considerably. For the record, this is what I believe to be to be the truth. You won't find this anywhere else. All of the medical decisions about FDR's health were orchestrated by FDR himself, despite the assertions of Howard Bruenn in 1970. Prior to 1937, the chief medical mind for all decisions, other than Polio, were made by Cary Grayson, FDR's close friend from the Wilson days, along with the consent of his chosen successor Ross McIntire. 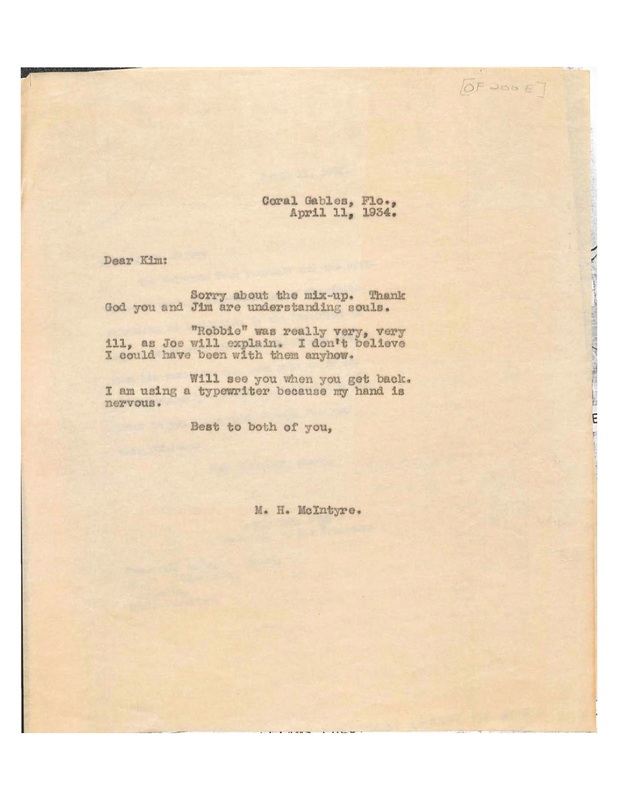 As FDR and Grayson were both extremely secretive and careful, the paper trail between them is quite sparse, though there are some clues in the Grayson papers in Staunton, Virginia. Not coincidentally, McIntire was not promoted to Admiral until after Grayson's death in 1937. 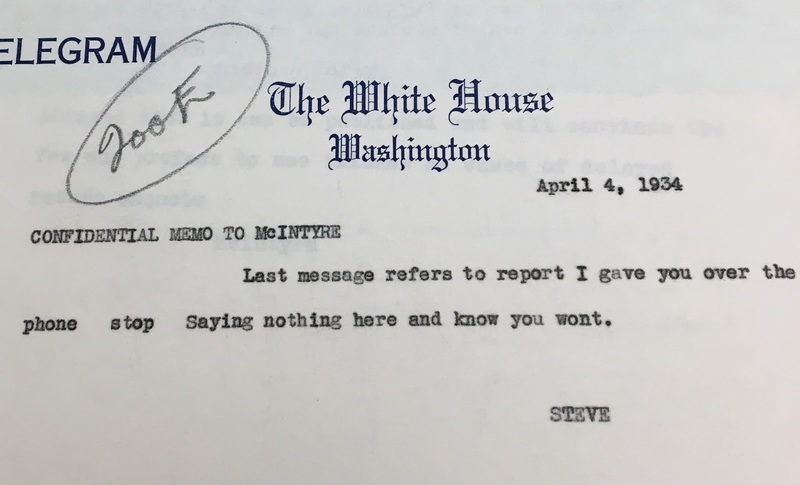 As seen above, Press Secretary Steve Early was the mastermind and enforcer of FDR's campaign of secrecy. Interestingly, this most important function is not addressed at all in the most comprehensive biography of Early by Linda Lotridge Levin. There is further ample documentation of Early's role in other posts on this blog (see, for instance, "The Early show with Ross McIntire"). Another revelation gleaned from the information on this post is that FDR's son, James, probably knew about his father's illness. This is the first evidence I have found. Also the revelations about Vincent Astor's role has been vastly under appreciated. More to come about who knew what, and when. Best of the holiday season!